Many dome building companies would have you believe that there dome home kits are perfect for everyone, and life living in a dome home is idyllic. If you’re thinking of buying a dome home kit or building a dome from scratch read on, it’s not all sunshine and roses! We know that a geodesic dome has at least 30% less surface area than a conventional structure, but cutting triangles from sheet material is very wasteful, there’s not much point in having 30% less surface area if you’re left with 30% more wastage. You can avoid this if you choose carefully the material from which you build your dome; for example fibreglass doesn’t come in a specific sheet size so fibre glassing a dome roof has no more wastage than any other shape roof. If you use metal to build your dome you may have more wastage but you can recycle the off cuts and recoup some of your money. I would try to avoid plywood unless you have another project that can make use of the waste. Fitting doors and windows into a dome structure is much more of a challenge than fitting them in a rectangle based building, a geodesic structure is divided into triangles, doors and windows tend to be rectangle, it’s just not efficient to fit rectangles inside triangles. If you build your dome on riser walls you can put all of the doors and most of the windows in the riser wall, which is essentially rectangle. For windows in the dome structure I would recommend round windows, they fit quit nicely inside a triangle and let a lot of light in like a sun tube. If you try and fit conventional windows into a geodesic dome you’re heading for problems, one of the biggest mistakes new dome builders make is using conventional building techniques when building a dome, domes are fundamentally different from conventional buildings and require different construction techniques. Add on porches, dormer windows, extensions and chimneystacks and you begin to loose most of the benefits of building a dome in the first place. You’re increasing the surface area, decreasing the strength and making the construction more complicated. The geodesic dome is a marvel of simple efficient design; don’t make a sow’s ear out of a silk purse by adding gingerbread features. Getting planning permission for any kind of building in the UK is no easy task, never mind a geodesic dome. You will need to be determined, single minded, patent, crafty, lucky and stubborn to have any chance of getting planning permission. 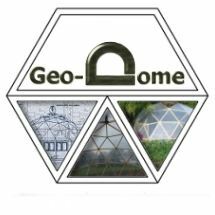 You may not need planning permission, if you intend to build a dome as a greenhouse or other garden structure. Check with your local council about your permitted development rights. If you want your house to be an investment as well as a home then you are probably better off staying away from geodesic domes. British house buyers are notoriously conservative when it comes to investing in property. If on the other hand you want to chance your arm on building a dome home because it’s more efficient, exciting, modern, and you don’t care about making money, knock yourself out you’ll love the experience. If you don’t want to build a dome home you can still build greenhouses, sheds, summerhouses and pool enclosures all of which will add value to any conventional home. People who build domes are by nature chance takers, a lot of what can go wrong when building a dome has nothing to do with dome construction and everything to do with good building practice. Any building whatever shape if it doesn’t have good weatherproofing, insulation and ventilation will be a pain to live in. The more efficient a building becomes the more critical good building practice becomes, for example: a draughty old barn needs little in the way of design thought but an ultra efficient geodesic dome has warm moist air that rises to the top of the dome causing uncomfortable temperatures upstairs, condensation problems, even wet rot and potential mould problems, all of which have to have practical cost effective solutions. A badly designed or constructed dome will not perform any better than any other poorly constructed building, so do your homework and get professional help if you need it, a well designed and constructed dome will be cheap to run, environmentally sound, beautiful, super strong and a joy to live in. 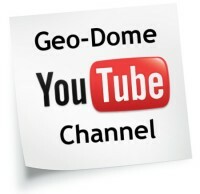 It is nice to see a balanced evaluation of the drawbacks and considerations of the geodesic dome. Wise counsel is just that.... wise counsel! Thanks. I agree with sam man, why build it if they're so many problems? What do you think about building the structre of the dome out of rebar, then chicken wiring the whole house then stuccoing or plastering the outside? hi there can any one tell me what size ally tube i need to use for a 18ft geo dome.and the best way to flatten the ends thanks! a hydrolic press would work well. wether powered by electric motor or manuely operated[sort of an upside down bottle jack] to flatten ally tubing. Hi All, Nice article. I built 5 geodesic domes in the early 80's in Florida. 3 x 39 ft diameter and 2 x 45 ft diameter. Almost all dome plans and kits that one sees on the web are hub and spoke style construction and were designed by some dome enthusiast or other. More than one person including the author has posted about the waste problem. The dome system that we used is fairly unique in that it was designed by Bucky Fuller's office to use modular (read Home Depot) lumber with no waste. The 39 foot dome is a 3/8 sphere and is made out of 8 foot 2/4's and 4x8 plywood. You can make 5 domes fully covered with plywood and carry the scraps in a bushel basket. The kit comes as 60 fully framed and plywood covered triangles with pre-drilled bolt holes on the sides for easy assembly. 4 people can assemble the entire shell in one day and covered in tar paper for water proof in another 3 hours. The peak of modular construction and, AFIK the only one actually designed by Bucky's office. These were built by a company in Plattsburg, NY, USA, but they closed a few years ago. I spoke to the owner the other day and he still has the factory and would make a group order if asked nicely. /grin. I think the on in Wisconsin uses the same method. By the way, Charles, there is an all paper home design out there. Google.com is your friend. I personally roofed 3 of the domes and we used standard asphalt/fiberglass shingles with extremely good results and very low waste. Be sure to back flash every row around any roof penetration. The trap with domes is to assume that the since they are so exotic that we must use exotic materials and often exotic materials have exotic problems. That is about all I can think of right now. What every you choose, enjoy. I built a 35' dome in 1978 and loved it. It was a Catheralite dome kit and was assembles in one day.I have moved to Alaska at the mouth of the famous Anchor river and am building a dream. I am constructing three domes interconnected with two long extentions, making a "V" shape, with an 8' wide lap pool in one of the hallways. I have dreamed and planned this event for 15 years and it will be a project of notability. Domes are seen as a cheep housing project but the beauty lay in the details of the finish work. I do agree with the drop off issue in regards to the contruction of the triangles so make a smaller dome out of them. One of the beauties of making your oun triangels is: A lot of lumber is short and can be aquired from other peoples drop off if your a scronger like me. this guy has no clue? talk about waste next time you see a house built or homes, watch how many dumpsters come and go before the project is complete...this is not rocket science! how many trees are cut for a home? land graded/moved for a home? save a forest, save the planet, live in a dome! hey guys. my wife and i are planning to build a dome in Florida, and a are looking at a molded fiberglass home so waste should be little to none. to the person talking about the amout of waste in building a regular home he is right about the waste differance. and has anyone thought about how much a dome holds up in servere weather. wind wraps around it and snow and ice just slids off the sides. Is this a icosidodecahedron Colin? I have a dome home and I love it. My father built it 15 yrs ago and there has not been one problem yet. I love it. The money it takes to run this house is not near what it was in my traditional home. It would take a huge offer to get me to sell this house. Best one I have ever had. anyone have any ideas on building and fully or partially burying a dome in the ground? I live in a place with many hills and i want a hobbit hole of my own. I'm looking at buying a dome on 2 acres in Colorado for 100k, screaming deal, having difficulties finding a lender. Domes are the new 30 year old trailer!! Hairydogmother, Email me at Sarah @ thecorehome dot com. I may know a financing option for you. Well, I work for an power electric distribution company, and we generate scrap material from the lines. There is a piece called crossarm, which is a metal 90° angle with two surfaces and 3 meters long located on the poles. I am planning to buy as many pieces I need since they cost a $1.00 piece when they become junk. I am planning to build a 3V 8 meters diameter dome, on a mountain property. Well, I do not know which material to use to cover every single triangle. Moreover, ther is a security issue that I have to deal with, so I will set metal bars on the windows [valcón]. Well, if anybody knows a good material, strong, and long lasting to use over the dome, please let me know. I am planning to start in two months. I look forward to hear from you guys. Regards, from El Salvador Central America. IM going to build my Dome home. You have given wise advice that will go into my structures. Thank you cool dude! I'm seriously looking into the prospects of building a well-insulated dome in New Mexico. Extreme climate. Condensation problems are not for-seeable, but do the dome panels really offer the said R-values? I was self-employed as custom furniture builder/designer, and have a number of years in construction experience. I live in Bavaria, but will be re-locating to the U.S. in the next year or so. It's a bit more difficult to judge long-distance what companies are offering. Finish work is a piece of cake and a rewarding adventure. Is the structure worth the effort? Send me your feedback! We love our dome. Yet, because of new work opportunities we need to sell. Does anyone have any idea how to do that. We can not find a real estate agent interested. Cindy...sell on internet, put up a sign. Advertise the unique points of ownership. There are people who will be interested. Have a open house, as the uniqueness will get people talking, and as the word spreads, so does your advertising! Hi I am planning to buy a geodesic dome to use as a swimming pool enclosure. Dome cover will be clear vinyl. Do you guys think, it is a good idea. What can be the possible problems? I just want to say thanks for all of the interesting comments here. 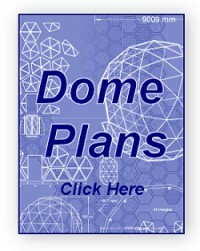 What a great way to learn more about building and living in a dome! The inward cant/slant of traditional Windows/ fenestrations can BE a point ot extreme Frustration They are NOT designed to be Layed back! They will Leek like sieves! You Must acccount for a Overhand to difuse/ shed water awy We chose to Honor the Dome and make Triangle fitted Eves to blend with the Tri Angles and Made them Project Out 30+ inches in a mini PROW configuration as Flat Tops DETRACT form the Pyramidical aspects will Try and get Pics and Possibly HOW TO soon very UN-Usual Treatment and COMPLIMENTS the Tri-Angular homage to Buckmeister Fuller [Technocrat} You will Be better to Plan Ahead and FRAME in prior to Dome Erection, Pro Active beats RE active! and Save Time Money and Stress! Good Karma Doming!